Dec 27, 2016 (LBO) – Sri Lankan business tycoon Dhammika Perera has bought control of Beach Resorts limited for 330 million rupees, Amaya Leisure said. The Board of Directors of Amaya Leisure announced to the Colombo Stock Exchange that it has taken a decision to divest its entire shareholding in The Beach Resorts Ltd, a subsidiary of the Company. “Board of Directors has taken this decision to rationalize the investment portfolio of the company,” Amaya Leisure said. As a result, the Company disposed 6,176,790 shares which constitute 84.30 percent of the equity stake of The Beach Resorts Ltd today. The company has sold the stake for 330.11 million rupees to K.D. 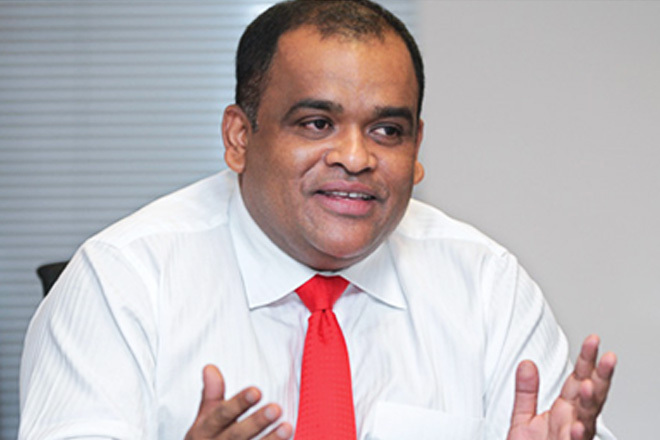 Dhammika Perera who is also a Director of Amaya Leisure and The Beach Resorts Ltd.